Apple has undoubtedly done some truly innovative things with its creativity since that fateful day of its founding on April 1, 1976 .It released the first “Macintosh Computer” (ubiquitously known now as just a Mac) in 1984, a machine that isn’t exactly the sexiest or most attractive gadget in the world to us now, but back then was actually pretty fancy stuff. For me, as I’m a HUGE music fan, Apple really hit their stride in 2001 when it unveiled the first iPod. Bulky and awkward in comparison to its counterparts today; it was a thing of wonder then, as it was the first of its kind in simply revolutionary portable music listening devices. So when Apple revealed its iCloud yesterday, although things appear to be normal they are far from it. This is the first time that the company did a whole Keynote presentation, where the main focus was on something other than its forthcoming hardware or software. Admittedly, they also revealed OS X Lion which besides holding the coveted Jesse Braunstein record for most badass name to date for an OS, raises the important question of how you go bigger when you started off with Cheetah, made the leap to Snow Leopard and finally arrived at the king of the jungle: Lion. I sort of pity that marketing team. But on a more serious note, I think that Apple’s move to the iCloud shows us two crucial things. First, the iCloud is not a product. It isn’t lustrous and slim like the iPod touch or even ultra-thin like the Mac Book Air. But the inherent beauty of the iCloud is precisely that it lacks a concrete image. Apple’s decision to incorporate the rapidly growing technology of Cloud Computing into its “product line” is not an attempt to keep up with competitors but rather a natural signal to others that there are huge economic profits in the expanding services industry. The fact that more and more products are being transformed into services, or “service-ized”, is far from accidental. Because the iCloud will not have people flocking to stores, waiting on huge lines, or require Apple to buy up half of the microprocessors in China to produce, or ship millions of units, it is an extremely smart product released at an opportune time. This type of creativity; where the creation is in truth complex but in appearance plain and simple is exactly what Apple always does for its consumers with its ridiculously user-friendly products. A lesson to be learned wether you love Apple or hate them is that there is definite built in value when a product is released that consumers not only feel comfortable using, but are also attracted to by the all too atypical logic involved in its basic operation. When consumers hear the word iCloud, they will immediately associate it with two extremely purposeful words Apple used to describe it; “automatic and effortless”, and that is a tremendous pull. The simplicity and flexibility the iCloud promises is just a further outgrowth of this hyper functionality based philosophy. This kinda makes more sense as a competitive position to erode Microsoft market share than anything. Where Apple are strong though, is making a design concept work. The ipod, ipad are amazing devices. Can they bring their design pazazz to a cloud storage offering??? Apple continues delighting and enchanting its existing and new customers. Creating a valuable new environment for all its wares is a logical as well as an effective marketing move that was likely based in serious customer research. It fits with the brand’s ongoing approach to capturing and retaining customers by providing them with what they want, before, more easily than and at a premium over its technology competitors. I do hope everyone realizes that if your data hosted on a system in the US is accessible by US athorities when ever they like, without asking your permission. Think about that before you “cloud” anything. It’s not difficult to make things easy to use when you have a closed architecture and a walled garden. 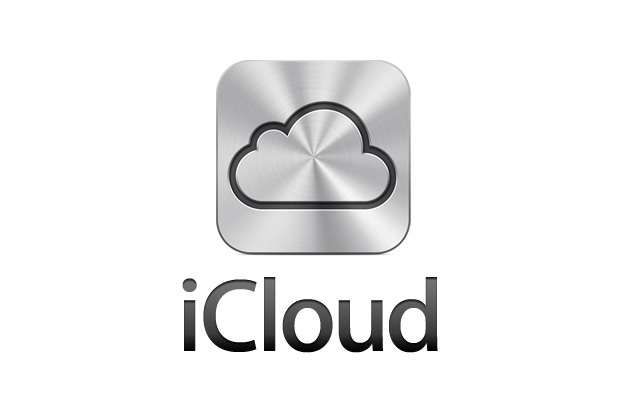 Therefore, it’s not surprising that iCloud will be easier to use than, say, Amazon Cloud Player or Google Music Beta. But I wouldn’t really attribute that to some sort of magical creativity. I’d say it’s just a function of targeting a customer segment that is happy to settle for whatever someone else (Apple, in this case) thinks is best for them. And fortunately for those people, Apple does manage to get it pretty right most of the time. Aside from ease of use, I couldn’t detect anything new about iCloud that isn’t already well established in the cloud now, and in some cases, has been available in one form or another for ten or more years. And I think that Apple overstates the difficulty of use of existing services. “Weeks and weeks” to upload each song to other services? Hardly. I uploaded 9,000 songs in one click. It uploaded for about one week. No problem. And I got to pick the songs, not just from whatever is in the iTunes catalog. Definitely agree with Ford! It seems like another of Apple’s greatest strengths is its hard earned ability to garner brand loyalty, time and again from the market. Maybe this customer loyalty is due to Apple’s reputation and the publicity they constantly get, but I think it probably has more to do with the way the company has innovatively manuevered around its original problem of Network Externality,when it began competing with Microsoft on computers. For those of you who don’t know, Network Externality is when “the value of a product or service is dependent on the number of others using it”, according to Wikipedia. So think about how increasingly attractive Facebook is just because others use it. Although Apple was originally disadvantaged in that very few people had Macs, now the OS (especially for the iPod), is so intuitive that they’ve been able to flip the issue on its head. Apple now has all the benefits of Network Externality; where its consumers feel like they belong to an exclusive membership club of technology products and people are dying (or waiting on lines for a ridiculous amount of hours), just to get in. This is exactly the type of strategy Apple has pushed forward with once again with the iCloud!